Successful implementation of Fedena or any other ERP solution in your institution requires 5% technical skills and 95% social & political skills. 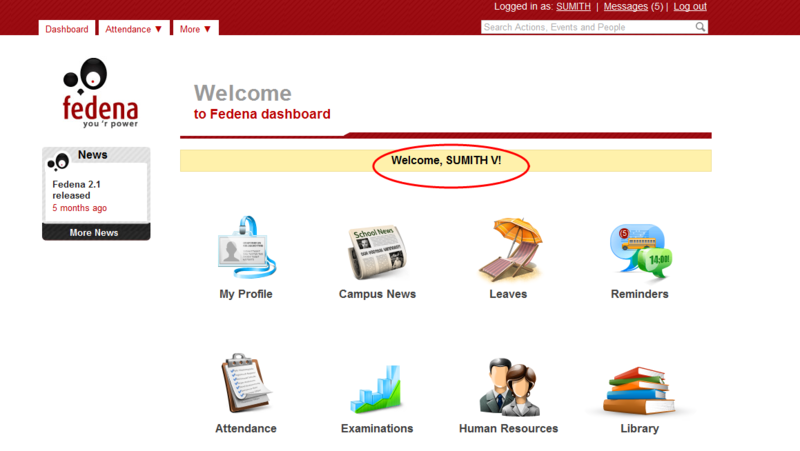 You don’t have to implement the entire features of Fedena all at once. We have noticed that a phased approach works well for Fedena implementation. This is a much safer and advisable way and has many benefits over the conventional “big bang” approach of implementing all at once. 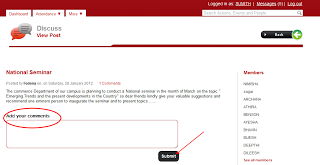 Start with login access of teachers and employees. Then go to timetable and attendance. Start some group discussions. 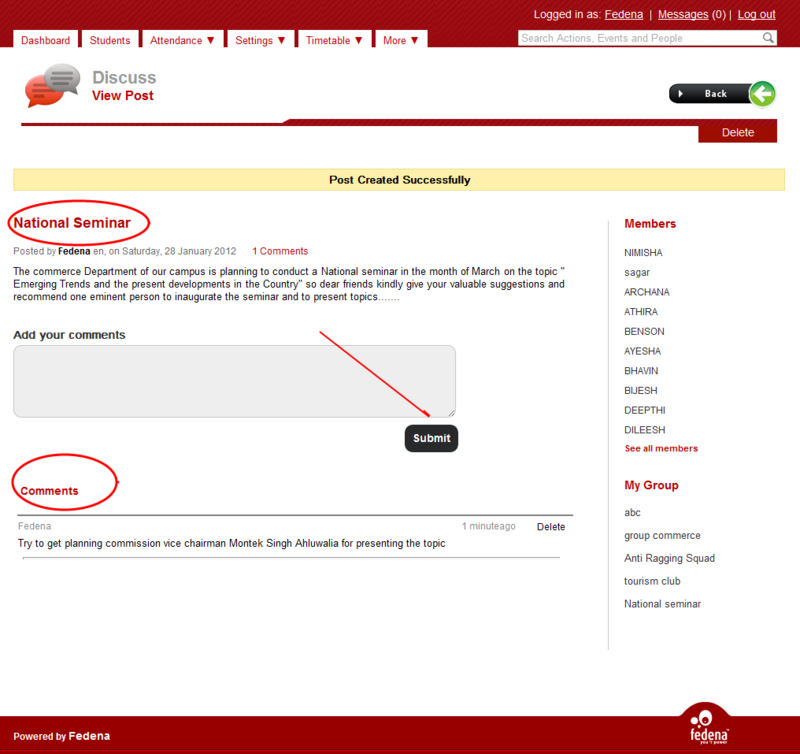 Tell some of the parents to login and take part in discussions. 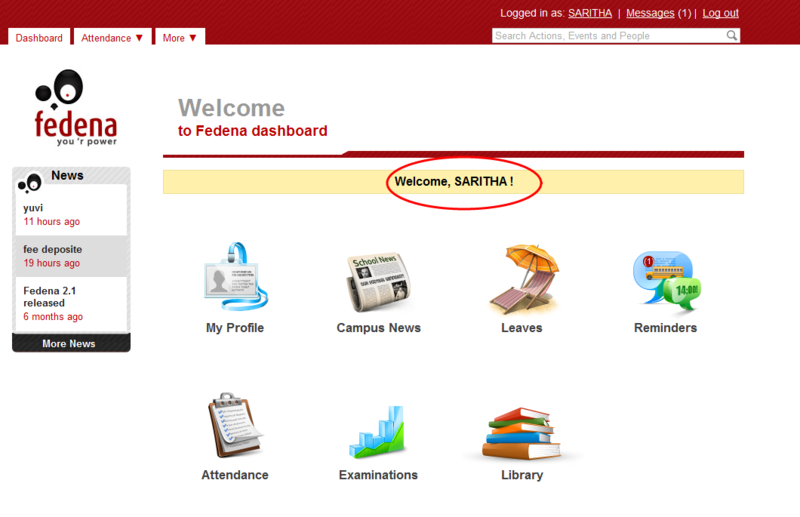 Avoid external emails and use the inbuilt message system of Fedena. All depends on your leadership style and strategy. 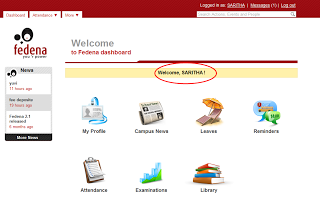 FAQ: How to make teachers and employees of my institution to use Fedena efficiently? 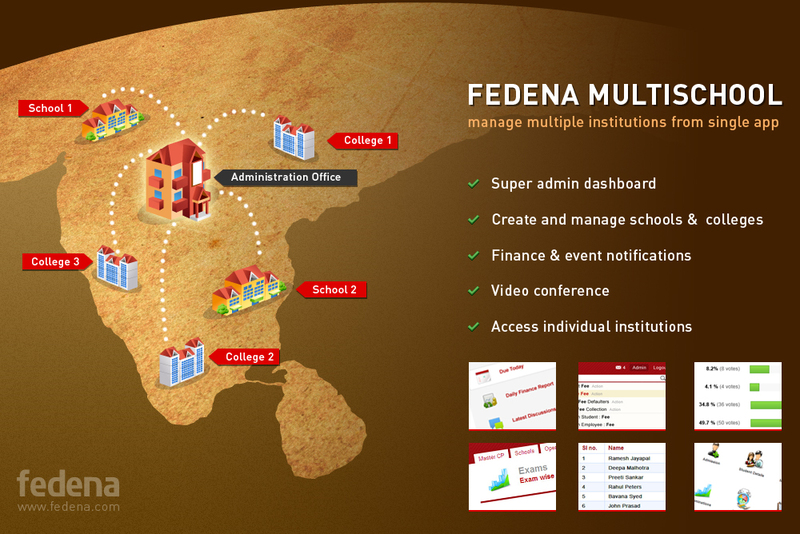 Fedena is an enterprise solution which demands commitments from Teachers and non-teaching staffs of your organization to achieve its full potential and increase the efficiency of your organization. Don’t give the job of daily data entry to teachers initially. Let it be done by a technical employee who can update the data of the system as suggested by teachers offline. We have released two new plugin for Fedena Pro. 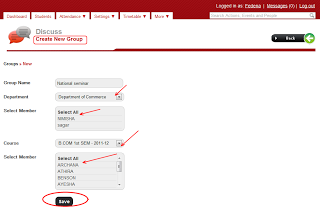 Inventory module to take care of the inventory of the institution and registration module to improvise the pre-admission process. 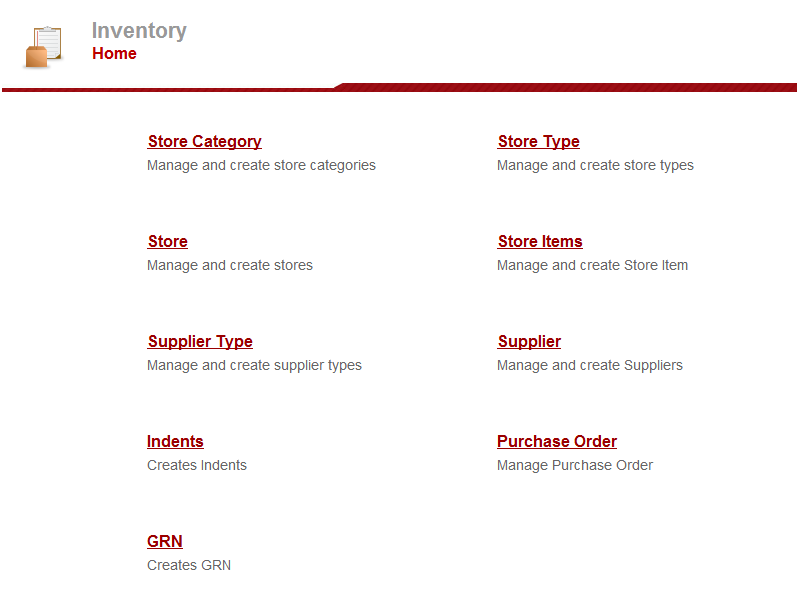 Inventory module adds lot of functionality in managing indents and purchasing items for your institution. Entire process is tracked and can be analysed in future for verification. 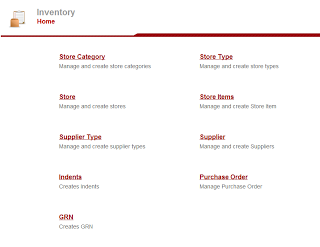 The workflow of the inventory module is given below. 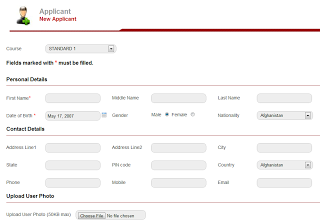 Registration module allows you to create a public registration form available for anyone to submit their applications to join the institution. 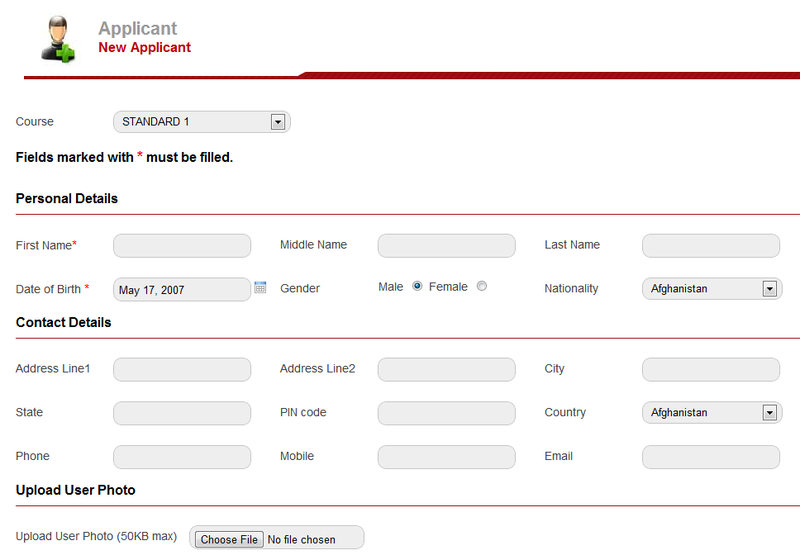 Registration module has customizable registration form with basic field and list views with filters. 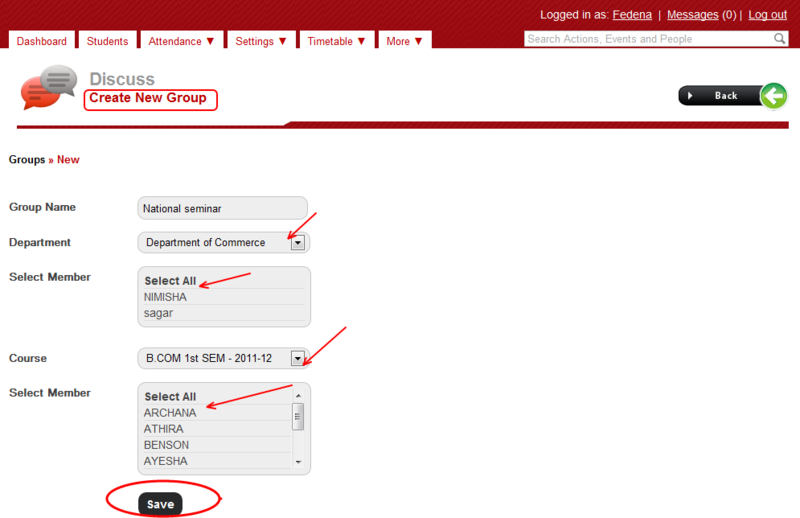 This module helps you to create a paperless admission process that saves money and time. Contact sales@fedena.com for more details. Fedena Multischools Solution is best suited for management of Group of Institutions who want to control more than one school or college from single app. All the different Fedena installations communicate to the centralized app and the updates from the entire group can be viewed from super-admin dashboard. 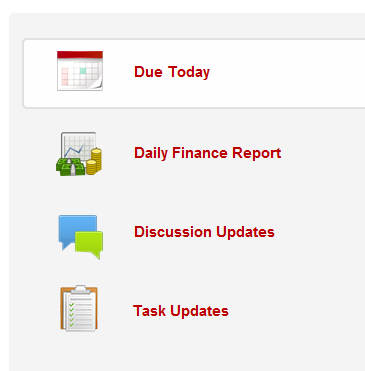 The dynamic dahsboard of super-admin gives notifications on four topics. Events, Finance, Discussions and Task. 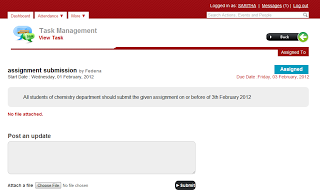 Task module is used to assign tasks to staff by their managers. Also staff can assign a task to their Students. Here if a task is assigned to an employee they can see it by logging into their profile. They can update the task and can post comments in it. The task module is briefly explained below. After logging into the dashboard click more option and then go to the tasks. 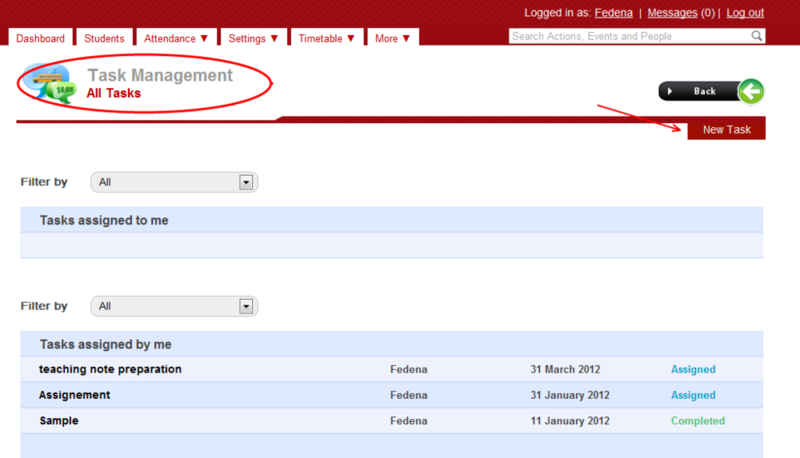 For assigning a new task to an employee click “new task” option. 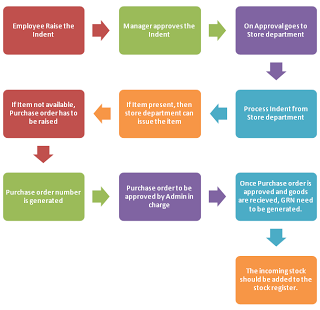 The employee can see the list of tasks assigned by him/her under the section ‘Tasks assigned by me’. The status of the task can be seen against each task. It can be either Assigned status or completed status. 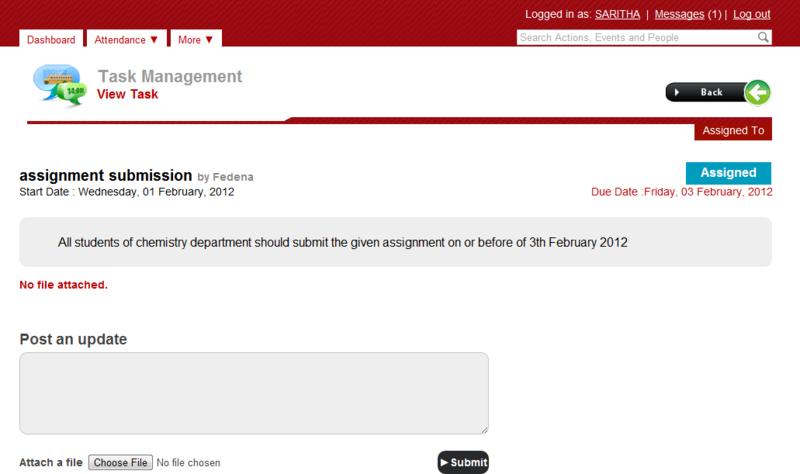 For creating a new task first of all the title should be given, then the description, department, course and the start and end date should be entered. 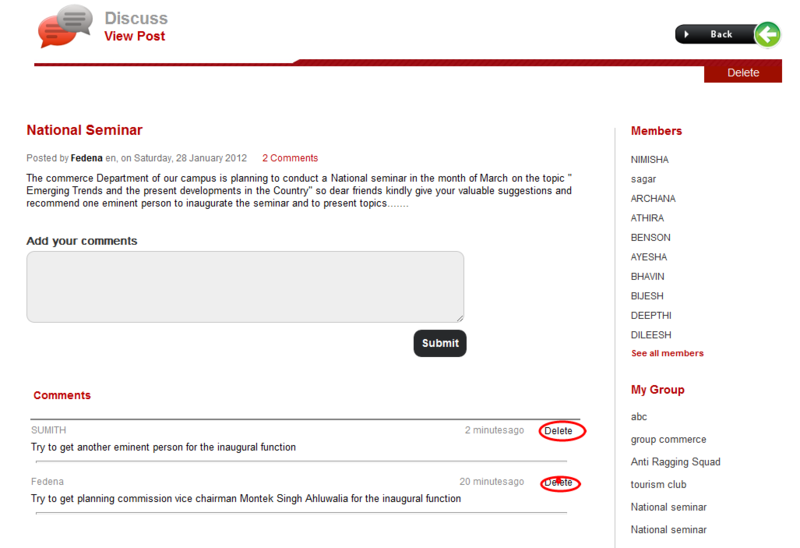 If there are any updates/comments to be posted it can be done under that task. 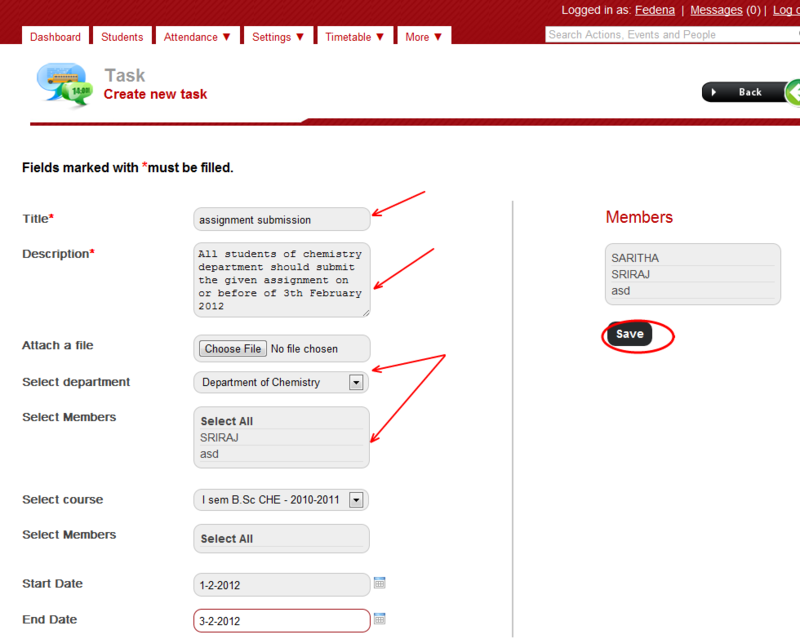 There is a space for including updates about the task just below the task description. 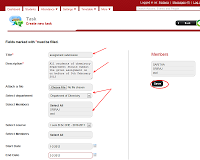 The user can see the list of users to whom the task is assigned. 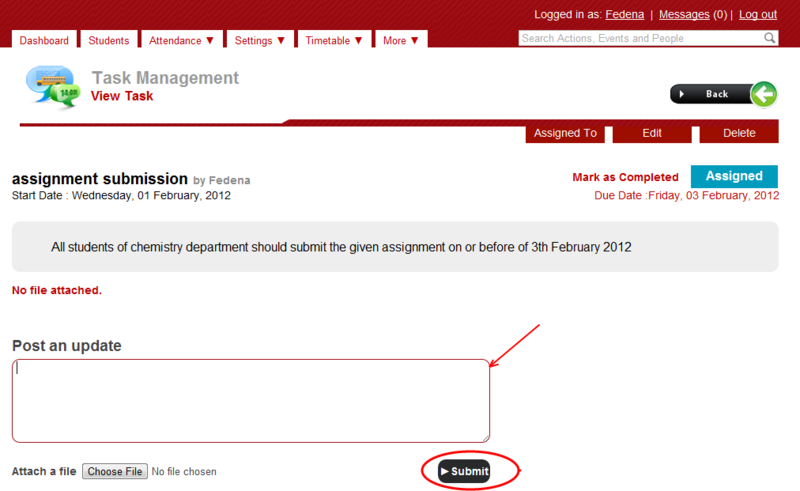 This list can be seen by clicking on ‘Assigned To’ button in the view task page. 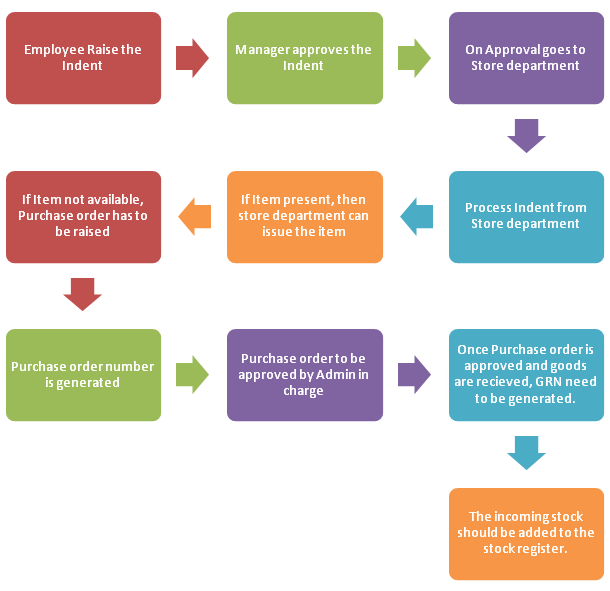 The user can mark the task as completed, if all the users to whom the task was assigned completes it and submits back the task. 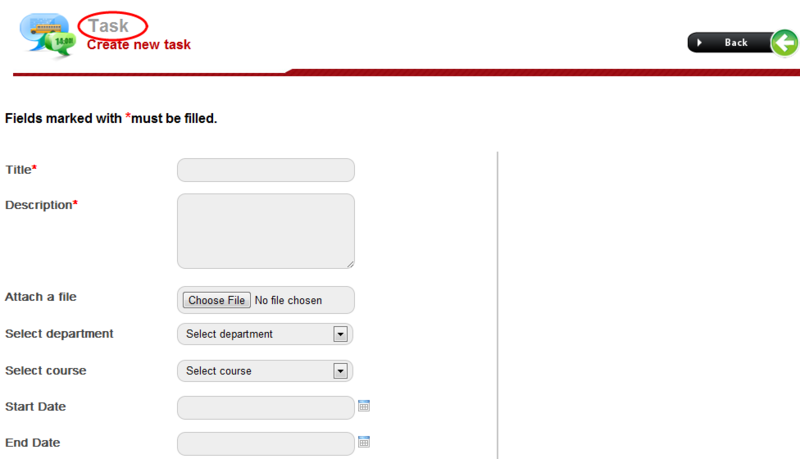 This can be done by clicking on ‘Mark As completed’ link just above the task description. 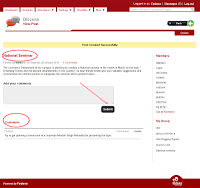 If the task is already completed and after that the user feels that the task is still not completed, the status of the task can be marked back to ‘Assigned’. 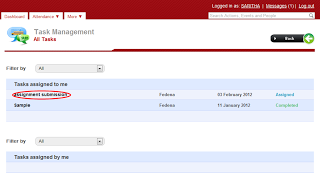 Once the task is assigned, the employee/student can see the tasks assigned to him/her by logging into their profile. Login to the profile and click on ‘Tasks’ under ‘more’ option at the top left corner. 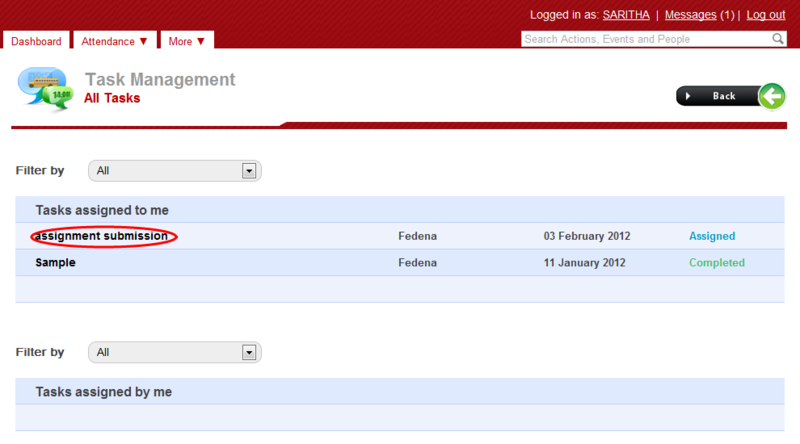 Under ‘Tasks assigned to me’ section, the user can see the tasks that are assigned. 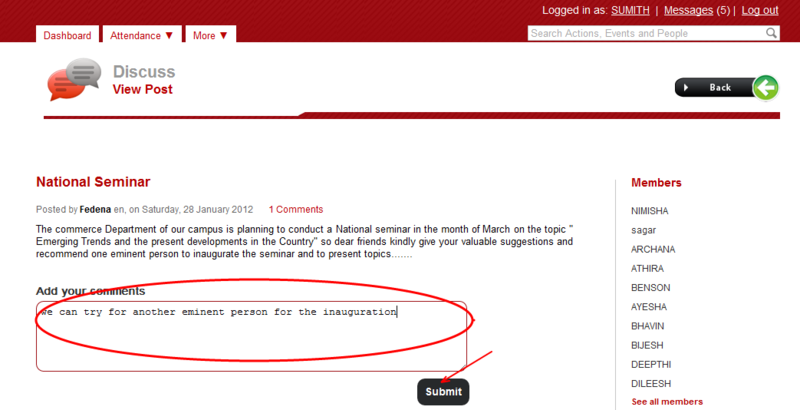 Click on the respective task and the user can see the task description. The user can post the update/comment. If needed the user can upload attachments.